The Richmond Flying Squirrels, Double-A affiliate of the San Francisco Giants, announced Friday that they have been voted as the “Best Logo In Minor League Baseball” during Baseball America’s Logomania contest. Polling for the contest began on May 12th and the Squirrels cruised through the first several rounds in the NCAA tournament style bracket. 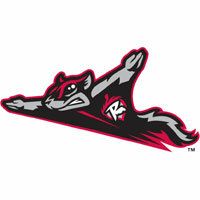 The Flying Squirrels took home the title by garnering 61.2 percent of the vote in their championship matchup with the Biloxi Shuckers. Along the way, Richmond knocked off popular minor league brands like the Quad Cities River Bandits (Midwest League), Tennessee Smokies (Southern) and Greensboro Grasshoppers (South Atlantic). To celebrate the title the Squirrels are offering 20% off all online store orders from now until June 5th by using the promo code LOGOMANIA at checkout. “Not only are we proud of this honor of winning Baseball America’s Logomania contest,” said Squirrels VP & COO Todd “Parney” Parnell, “but once again it is an indicator of the passion that our fanbase has in our 6th year. That shows that our brand is only getting stronger.” All rounds were decided by fan vote and Parney knows that it couldn’t have been done without the fans help. “We’d like to thank everyone who helped us achieve this great honor,” he said. Wednesday, June 10th – Middle Child Appreciation Night. Thursday, June 11th – In-Your-Face Fireworks and Tribute to Meat Night presented by Your Local Ford Dealers. Friday, June 12th -Free Shirt Friday and Happy Hour presented by Village Bank (1,000 fans 15 & up).Scout Night Sleepover Night. Saturday, June 13th – In-Your-Face Fireworks, Swim Team Night and Shark Jersey Auction presented by TowneBank Richmond. Sunday, June 14th – Kid’s Club Sunday Shovel & Pail Giveaway (first 1,500 14 & under) presented by Coca-Cola. Single game, group and ticket packages are available by contacting the front office at 804-359-FUNN or by going online at www.squirrelsbaseball.com/tickets.